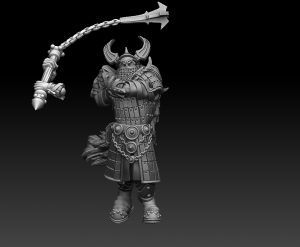 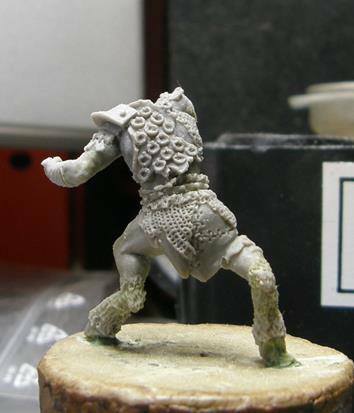 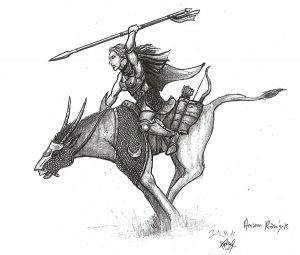 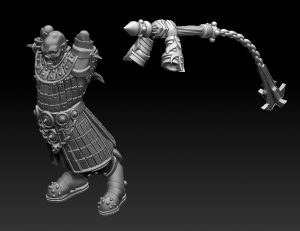 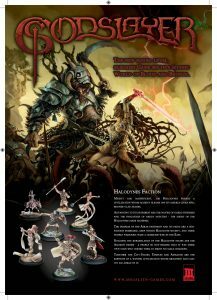 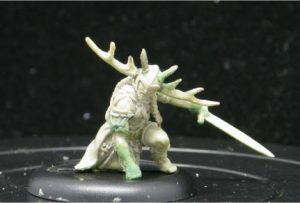 The Rhyastrad Warp Warrior will be the character release in the Wyldfolk starter deal for wave-2. 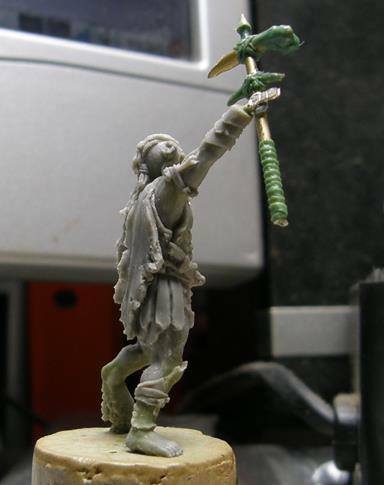 This guy is a Tuathan subfaction model, but very useful in any warband. 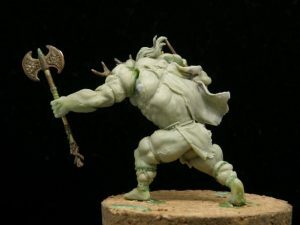 He starts in unwarpoed state and then during the game can be warped into the bigger version of himself. 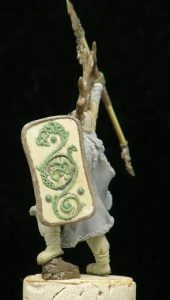 For that reason he has two models and 2 different profile cards. 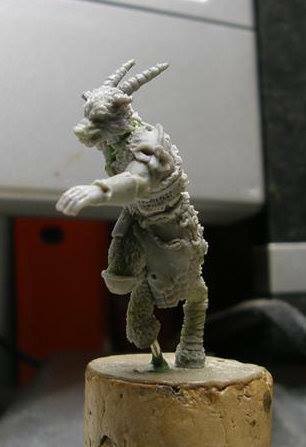 The Blackhides are now finished, and you can see them here with their cuts. 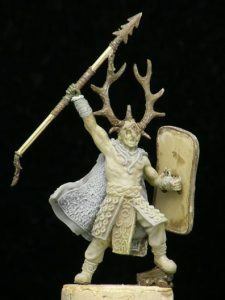 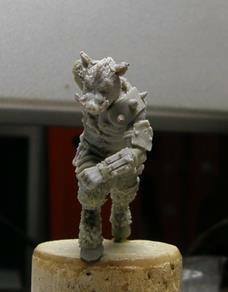 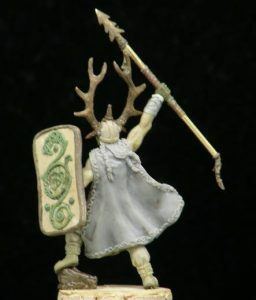 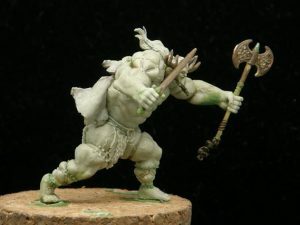 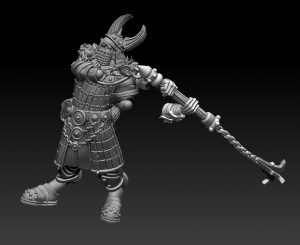 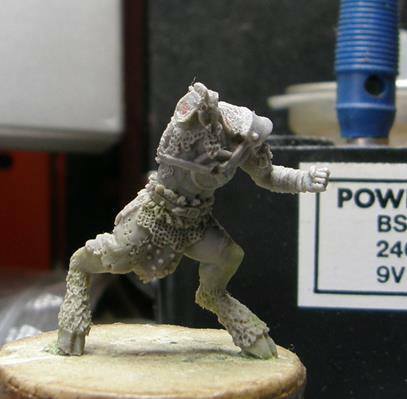 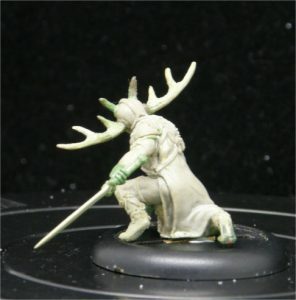 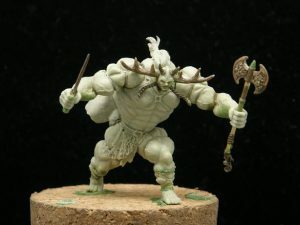 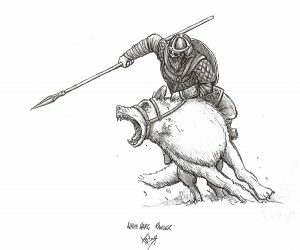 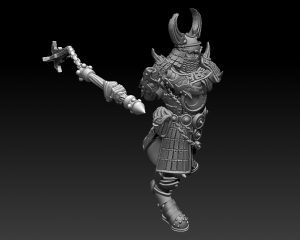 This guy will be the warlord for the Wyldfolk wave-2 starterdeal. 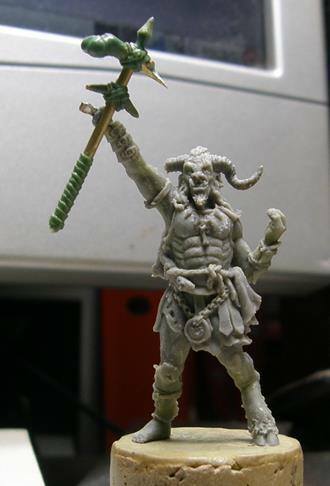 He comes with 3 profile cards – one for each subfaction (just like the Halodyne Godquester). 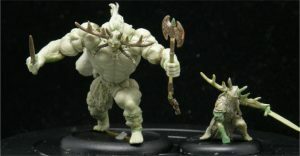 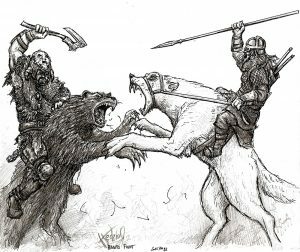 So Wyldfolk players will get three new warlords for the price of one. 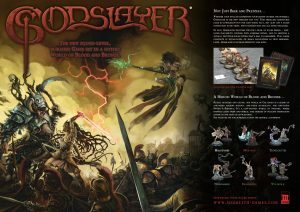 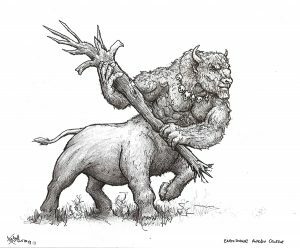 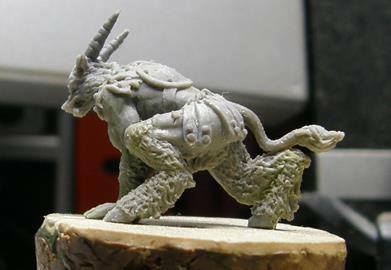 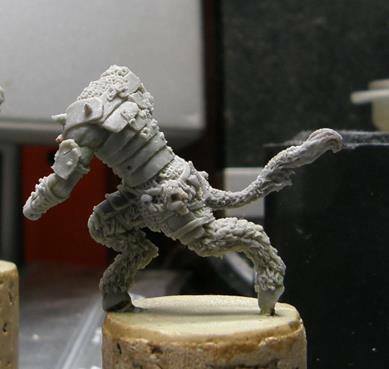 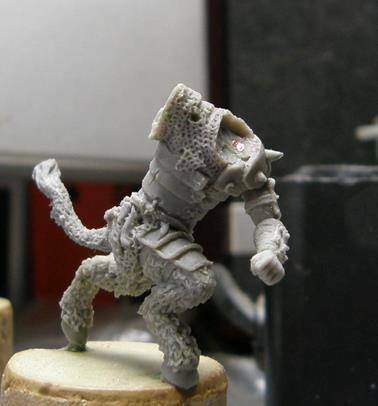 These guys will replace the existing Mongrels, and will also form part of the upcoming Godslayer Battlebox. 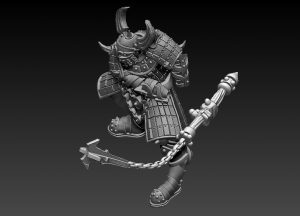 The Unit will include one leader, 5 trooper bodies, 8 optional heads and 8 optional weapon arms.